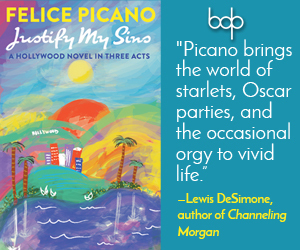 Many gay coming of age stories, in fiction and in real life, share some common elements: the lonely protagonist who feels isolated and misunderstood, a disapproving father, a doting but bewildered mother, and a mob of cruel, taunting peers. Often there are many humiliating experiences, awkward attempts at friendship, budding sexuality, a desire to do things considered “girlie,” perhaps a clumsiness in sports. And because of all of these things there is almost always a desperate need for the protagonist to prove himself to others as worthwhile, to excel. All of these plot points are common but real, and it is up to the writer to put his stamp on such a story to make it his own. He so identifies with Krishna that Kiran starts molding his life on the deity—eating butter and practicing the flute. He even starts believing his skin color may actually turn blue. He plans to have a triumphant unveiling of his “true” self as the modern day embodiment of the Hindu god during an extravagant song and dance number at the annual elementary school talent show. So much for putting a unique stamp on the traditional gay coming of age story! 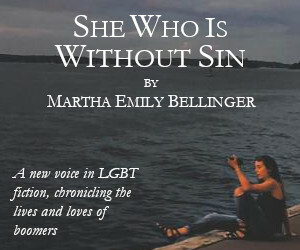 The book is also interesting in the way it stands as a document in the evolution of coming out stories through the years. Although the story takes place in 1992 and many of the standard situations are in play, Kiran is already much more daring than most gay boys would have been, say, even a decade earlier. “I am a walking museum of oddities,” he admits, “and the thing I want most is genuine sympathy from someone.” Yet, while desperately wanting to fit in, Kiran has enough pluck to assert his distinct personality on many occasions. His queerness causes him to be jeered at but he doesn’t try to clone himself into everyone else. Through the years he has turned up at school drenched in his mother’s perfume and appeared costumed as the doll Rainbow Brite’s boyfriend for Halloween. He is the only boy who takes ballet classes in a special after school program. He has a bright pink bath mat in his bathroom—a luxury he begged his mother to buy him. During a party at his parents’ friends’ house he sneaks away from the other children and secretly puts on full face make-up in the hostesses’ master bathroom, using her cosmetics. At school Kiran readily discusses Malibu Barbie versus Evening Gown Barbie with a couple of conniving girls. The following day he wears a neon orange coat to school and finds his desk plastered with Barbie doll stickers. He tries to scratch them off the desk rather than informing the teacher and “putting a spotlight on the situation.” Yet he seems unaware that he already pointed the spotlight on himself by wearing the neon orange coat. It’s almost if he can’t stop himself. There is an inner creative, independent streak that controls him. He admirably expresses his individuality in an attempt to be true to his unique nature even while knowing it’s his difference that keeps him singled out. I sympathized with the character Kiran and related to him on a number of levels (I remember my own desire to read Are You There God? It’s Me Margaret as a pre-teen and being made to feel that this was a wrong choice for a boy), but I didn’t always find myself liking him. With Kiran, Satyal has drawn a colorful, multi-dimensional character so that at one moment you are rooting for him while at other times you’re rolling your eyes in exasperation. He has a prankster spirit that doesn’t always win admiration. He has feelings of superiority over his contemporaries and is privately just as judgmental of them as they are of him. ‘”How did Sarah and Melissa, otherwise ‘cool’ girls end up with a hunchback like Cody and an ostrich like Danny?” he asks himself. Of course, his fury stems from being an outcast—having to sit alone in the middle of a field while the other kids play. Sneaking around his own house to do things that make him happy (playing with dolls and putting on makeup.) And afraid to be himself in front of his own father. He gets his revenge by being a tattletale on an adolescent Indian couple for making out (which could have serious repercussions) and alarmingly, setting a school room on fire—allowing others to take the blame. “I’ve taught them all what happens when you cross my path,” he crows. We are still a long way from gay children feeling comfortable and accepted for who they are but we are moving in a positive direction. In Blue Boy we see how one gay adolescent learns to accept his orientation and his ethnicity and even, in the end, feel triumphant for his trials and tribulations: “Now there is a little bit of immortality added to my public persona, an ability to defy pain, and I giggle inside thinking that, in at least this respect, I have made myself a god.” Kiran’s triumph is a triumph for many of us who survived the pain of an early life of bullying and Blue Boy is an important contribution to its genre. Trade Paperback, $15, 352 p.
Charles Casillo is the author of "The Fame Game," "Boys, Lost & Found," "Outlaw: The LIves and Careers of John Rechy," and "The Marilyn Diaries." His movies include "Let Me Die Quietly" and the upcoming "Fetish" starring Joan Collins. 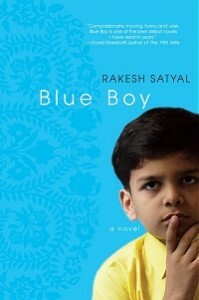 Is there a Spanish edition of “Blue Boy”?